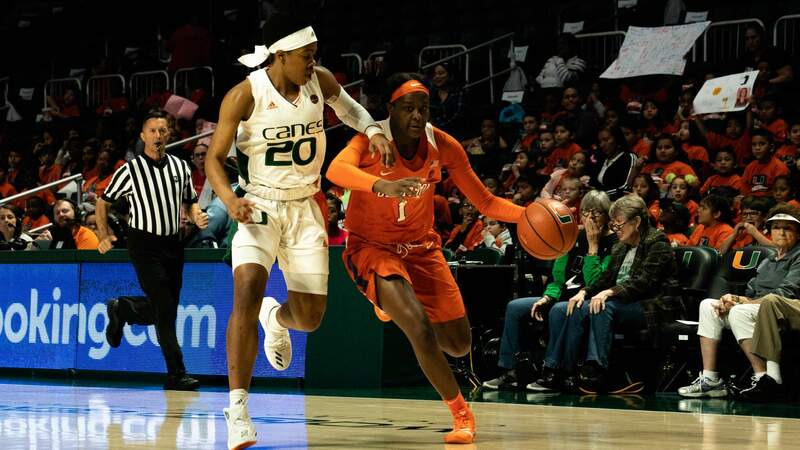 In true road warrior fashion, the Clemson Tigers poured in 30 points in the fourth quarter to complete the 76-67 comeback over the rv/23 Miami Hurricanes on Thursday afternoon. 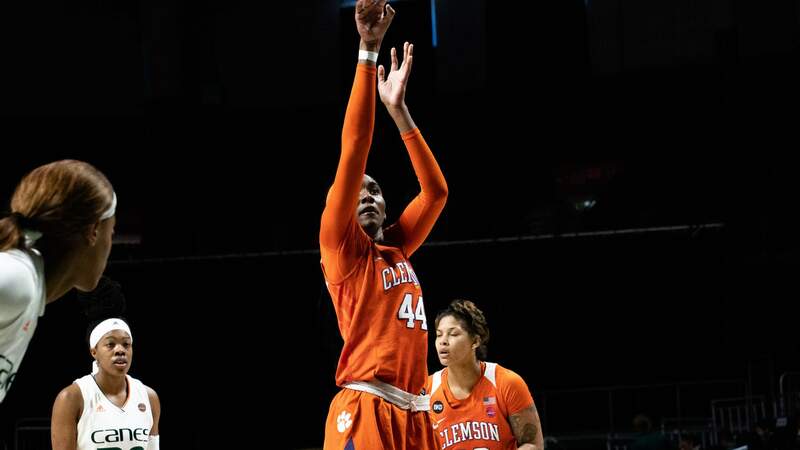 The win marked Clemson’s first victory over a ranked opponent since 2012 when the Tigers defeated No. 21/22 North Carolina, 52-47. 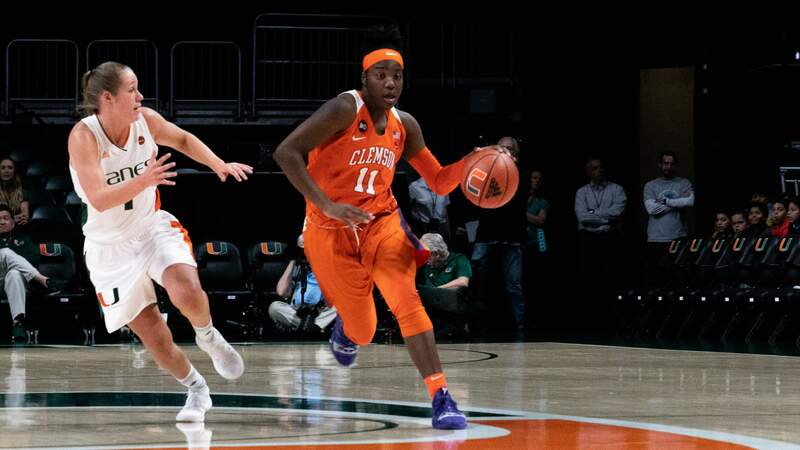 Down five points with time expiring in the third quarter, senior Danielle Edwards forced a turnover in the midcourt and put up a last second layup to make it a one-possession game heading into the final 10 minutes. 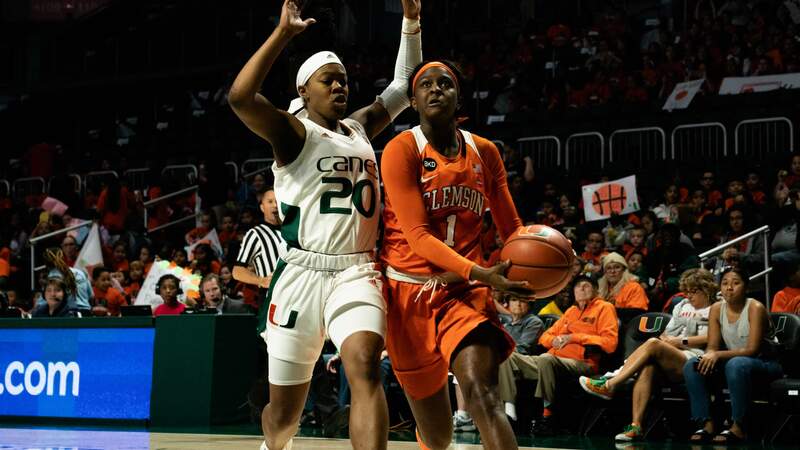 The layup set the tone for the a dominant fourth quarter by the Tigers, who finished the frame outscoring Miami, 30-18. 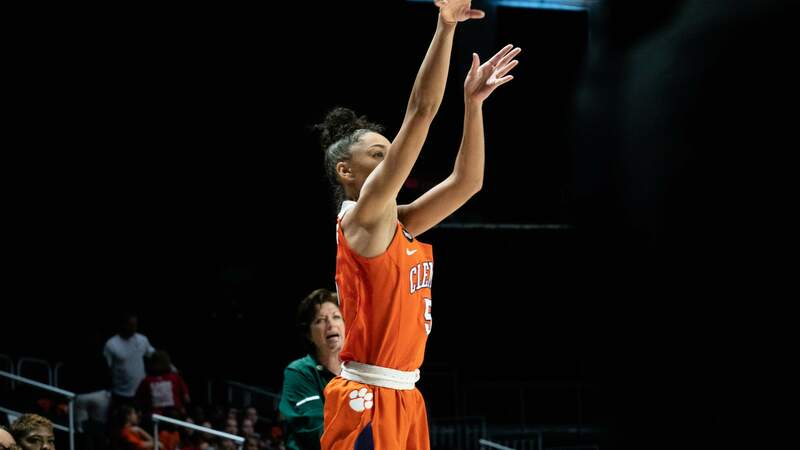 Clemson’s 30 points in the fourth quarter are the most points in any quarter since Dec. 21, 2016, when the Tigers tallied 30 fourth-quarter points against Jacksonville. 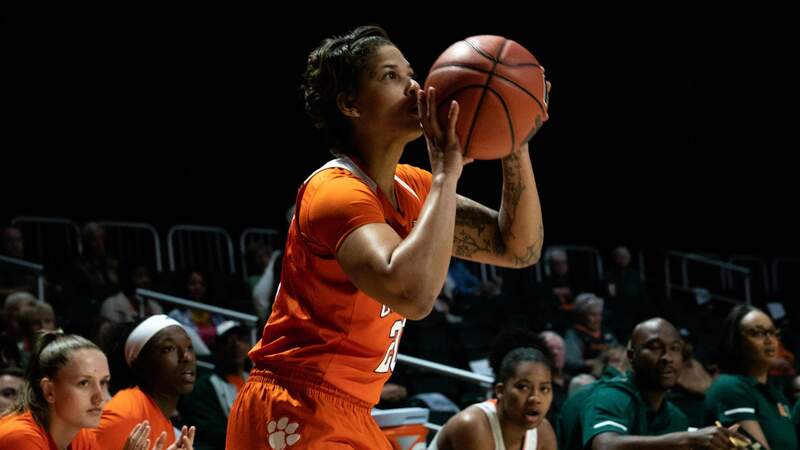 That game was another come-from-behidn win for the Tigers with two current Clemson players, Aliyah Collier (19) and Danielle Edwards (18), scoring in double-digits. 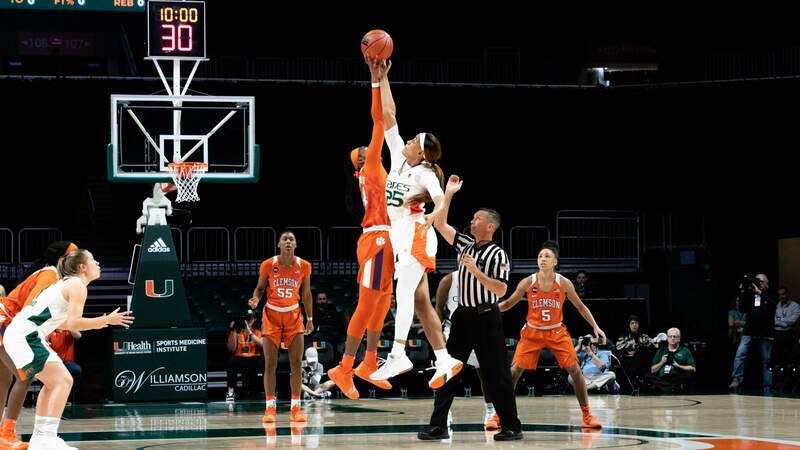 This 30-point quarter was also just the second 30-point quarter in Clemson history since the women’s basketball game moved to the quarter system in 2015. 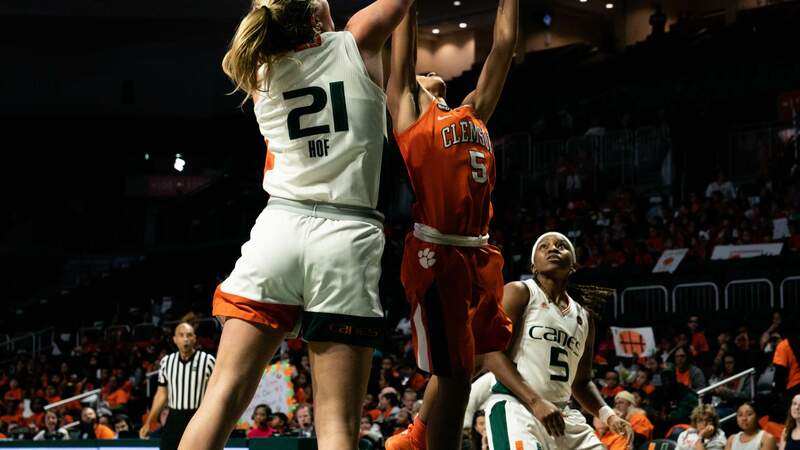 The Tigers were an offensive powerhouse in the final 10 minutes at Miami, shooting 66.7 percent (10-of-15) from the field, while knocking down 7-of-10 free throws. 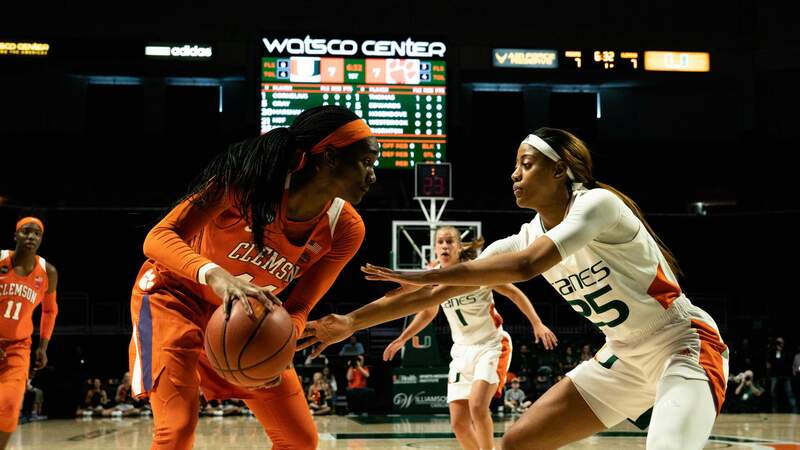 Upperclassmen Simone Westbrook and Kobi Thornton each tallied double-figure quarters, with 12 and 10 points, respectively. Westbrook was particularly effective in the final frame, knocking down a pair of 3-pointers to go along with two rebounds, two assists and two steals. 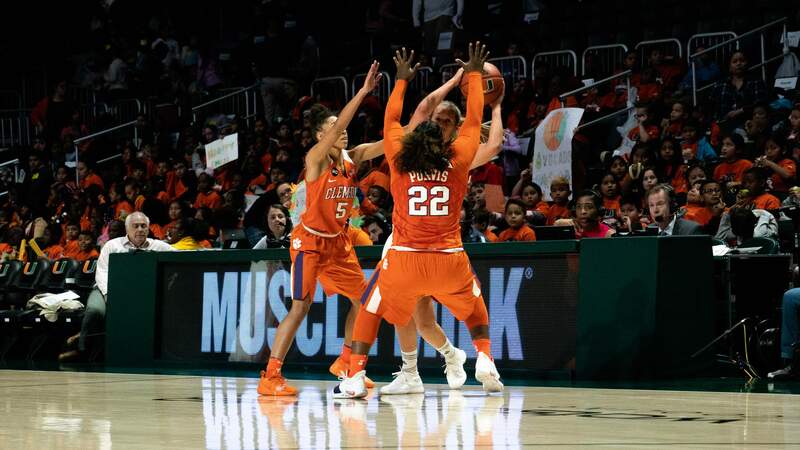 Thornton went 3-for-3 from the field and hit all four of her free throw attempts. 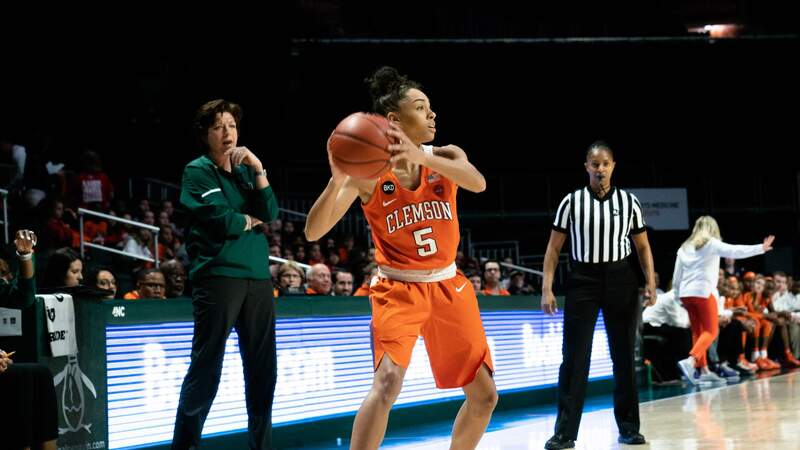 As a team, the Tigers are shooting 45 percent from the field in fourth quarters this season and are outscoring opponents 298-257 in the final 10 minutes. 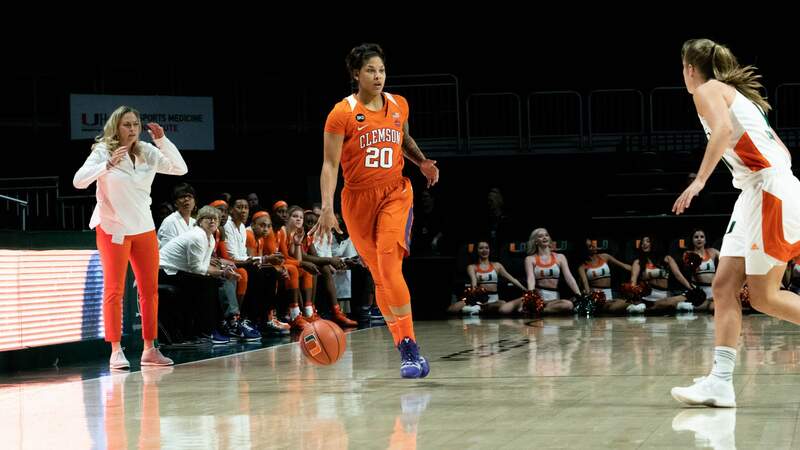 Clemson locks down on defense in the fourth frame as well, outrebounding the opposition, 166-139. “We wanted the challenge today to be ‘can we make the day about us’ and we rose to that challenge,” said Butler.